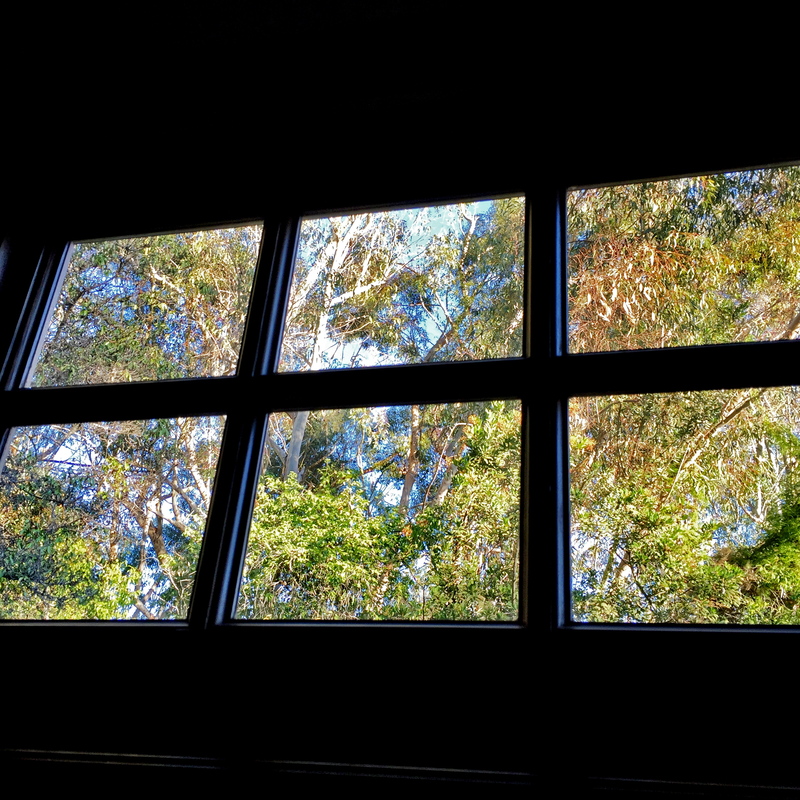 Literally my view every waking day of my life on Via La Selva. Only the window was different. Back then, it was a steel casement window. Remember those? It still has a crank opener today, like in the olden days, but now the crank has a handsome wood handle to match the upgraded wood-framed windows. But the eucs? Still the same. And the view? Exactly the same.